With no “real” dining room table yet in my new home, I was tired of looking at the dining room with just four chairs sitting in it. My chairs are very pretty, I had eight of them, but sold four with the condominium furnishings, because I know I will be going with a very different look as I begin to decorate the new place. As I unpacked box after box of linens and dishes, I came across an old beige tablecloth with beautiful bullion fringe. I know you can’t see the fringe in my pictures, but I see it whenever I walk in the front door now. I also found a beautiful topper made of this pretty French writing fabric trimmed with black fringe and backed with black satin. Packed away in storage for three years, I had totally forgotten about these cloths. When I unpacked them I knew exactly the dishes I was going to use with them. 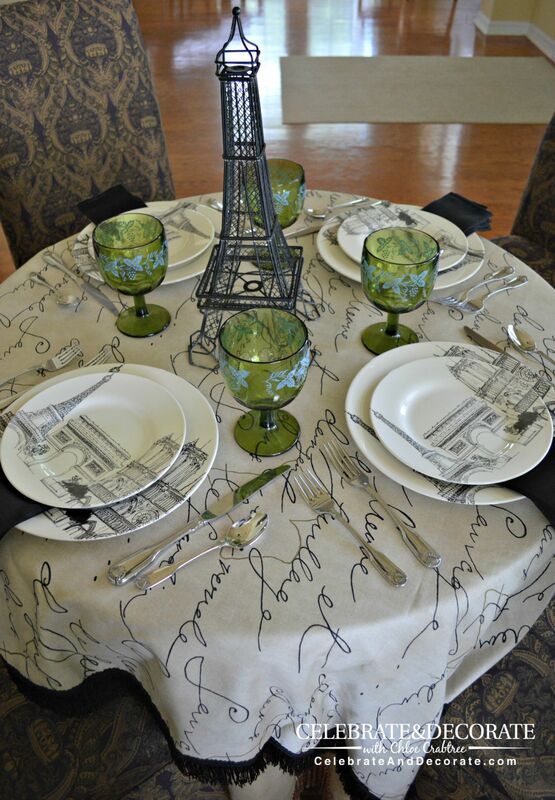 A simple Eiffel tower sculpture was all the centerpiece this table needed. 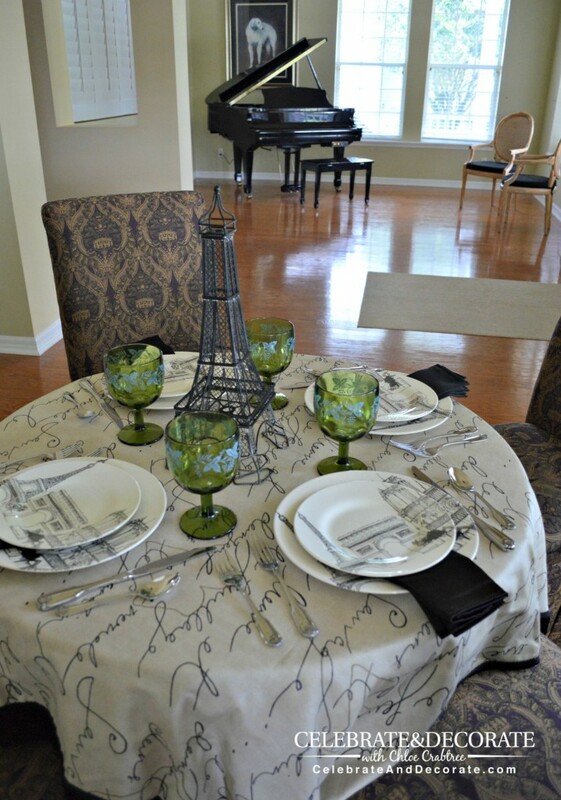 I used the same Eiffel tower for my Paris Valentine Dinner for Two, I just changed it up by painting the tower black. I don’t think the French would like it if I just kept painting their icon different colors on a whim, do you? Now when I walk in my front door, I at least have a pretty dining room to see on one side and my beautiful piano in the living room on the other side. I had bought this set of dishes years ago and I can’t remember where I bought them, but I have a set of six place settings. 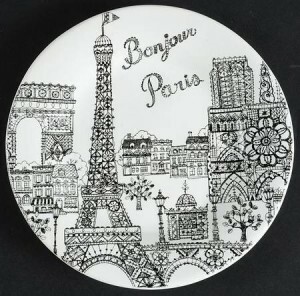 The dishes give you a glimpse into the beautiful architectural marvels of Pars, featuring the Eiffel Tower, the Arc de Triomphe and Notre Dame in the style of hand drawn sketches. I will be visiting Paris at the end of the month, just for a day on the way to my son’s wedding in south west France. I look forward to catching a glimpse of these wonderful structures again. The green goblets with the etched grapes and vines on them were a gift to my mother back in the late 1960’s. I always felt like it was a special meal when my mother set the table with these goblets. Without a table, I hid a borrowed patio table under these lovely fabrics and dressed it with the pretty dishes. As much as I have loved my elegant purple and gold chairs, they won’t find a home in the redecorated house. If you haven’t seen my Cinderella party, you should look at it here and see how beautiful those chairs looked when set up in a local park. I think I will have to keep the four chairs I have tucked into a closet to pull out whenever a party calls for them. My dining room has a long way to go: paint, chandelier, dining table and chairs. I would like to add a beautiful china cabinet of some kind to go on the dining room side of the big kitchen wall. 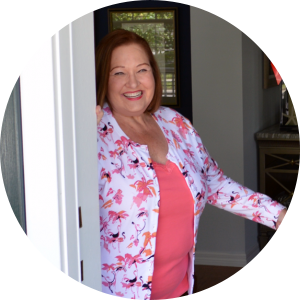 I am also considering a swinging door between the kitchen and the dining room. My husband and I are kind of at an impasse on the window treatments. He thinks plantation shutters and I think elegant curtains in the living and dining rooms. You will have to hang around to see what we end up with! I look forward to sharing more and more of the house as it comes together. 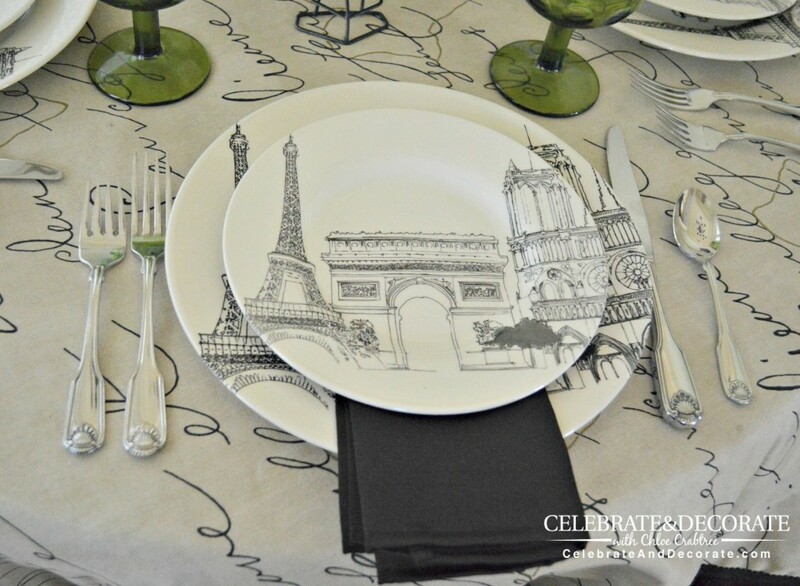 I couldn’t find dishes exactly like mine, but here are some great dishes that could help you plan out your Paris tablescape fantasies. Click on the plates to purchase. Simple, elegant and very inviting! The picture with the piano is so serene and goes to show once again how great you are at creating ambience. 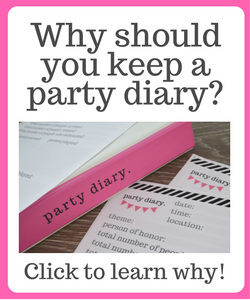 Looking forward to seeing how you decorate your new home and the fabulous parties you will host. Thank you Sandra, I am sure looking forward to getting started! Tomorrow we visit the paint store! Oh, Rosie, thank you. They are fun dishes, I just don’t know if they will have a place in my new coastal look! Thank you Jenna, I am so excited for a new look! Thanks for always sharing at Celebrate it Sunday! What a great room, I know that you are going to to have a fun time decorating. Thanks for sharing your Mom’s special glasses and I really like the plates………..OH I like it all. Thank you so much Cathy! I am so lucky to have Mom and Dad living close by, I need to serve them a meal with those glasses soon! Love, love, love! Those dishes are lovely and perfect with the tablecloth. 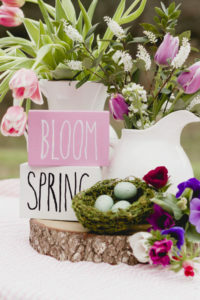 Great centerpiece…wonderful table. Thank you Valerie, this is one of the rooms I have no idea where to begin. This will not be among the first rooms I do! So pretty and elegant! 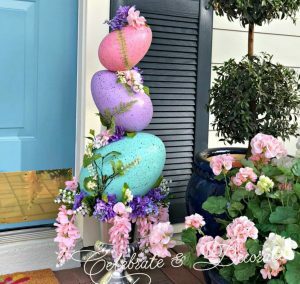 I loved the Valentine tablescape and the Cinderella party as well! Thank you Cynthia! You are so kind.